Those denim wardrobe staples don't have to be for casual-only occasions. 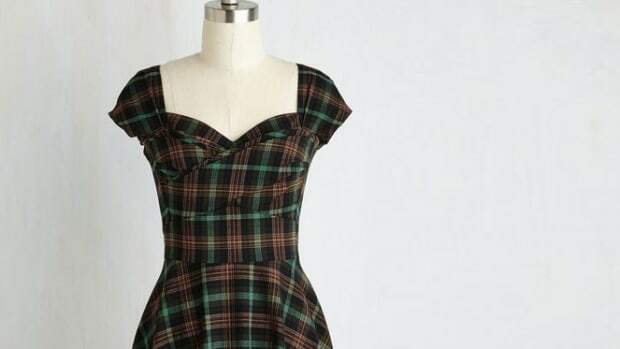 So, you’ve been invited to an event without knowing the dress code, and you find yourself staring into your closet, glancing back and forth between your party dress and your flannel button-up. Sound familiar? Nobody wants to be that person who shows up to a party too dressy—or worse, not dressy enough. The answer is denim. Seriously! 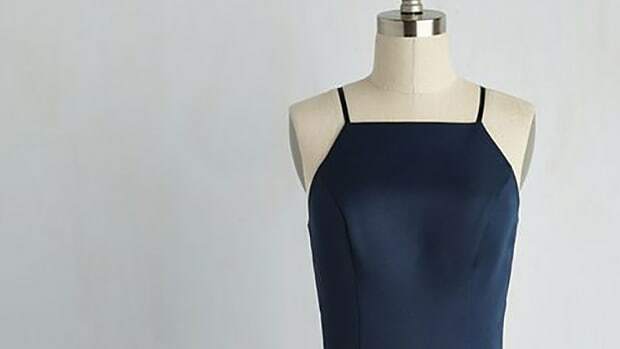 Hear us out: This chameleon of the closet can be effortlessly spruced up to make your outfit appropriate no matter the dress code, and mixing dressy with casual is the name of the game. 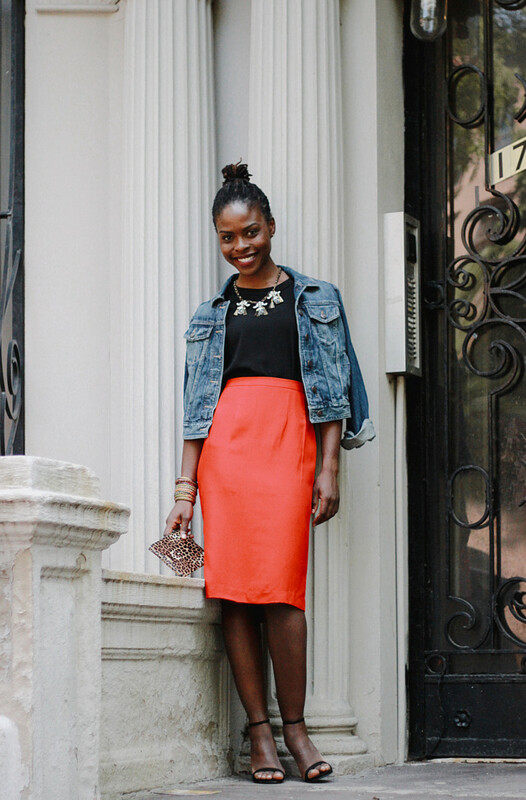 Below are four fun ways to glam up your denim—for whatever your night out may have in store. 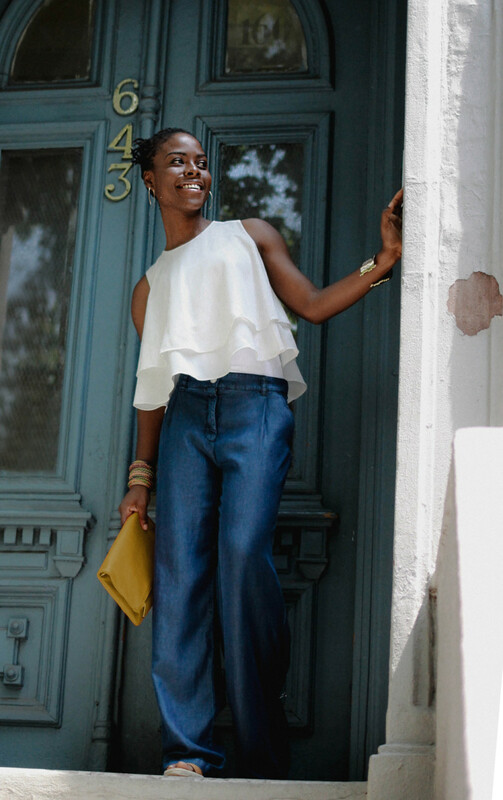 Boyfriend jeans might seem super casual, but these loose-fitting pants have ruled the fashion blogs as of late. The key is to pair boyfriend jeans with a structured blazer and sleek stilettos, which transforms your comfy jeans into the perfect night-on-the-town pants. 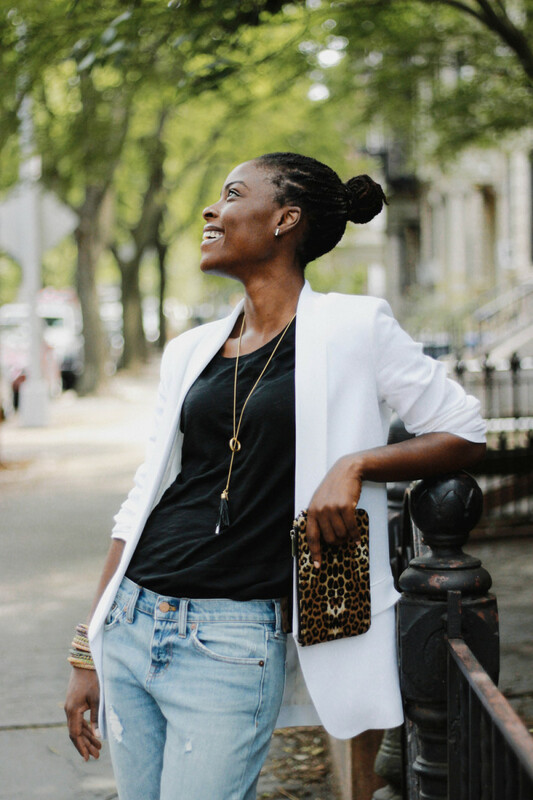 To emulate this look, keep the color palette of your blouse and blazer neutral, and cuff your boyfriend jeans just above the ankles to show off your strappy heels. Add a long, industrial necklace and a patterned clutch for the ultimate relaxed, chic look. This look is all about mixing comfy fabrics with strong silhouettes. A deep-blue pair of jeans instantly dresses up your outfit, despite denim’s relaxed nature. Because the long, flowing cut of the palazzo pant is the statement of this outfit, it’s best to keep the overall look simple. 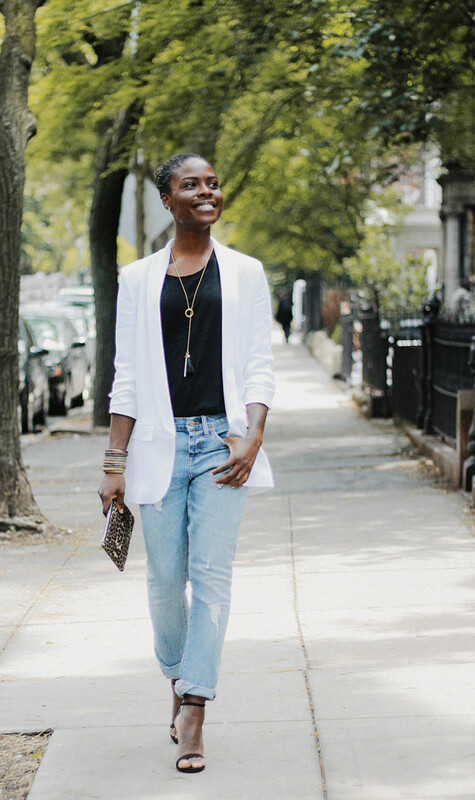 Try pairing your dark-wash denim pants with a white blouse to create a complementary contrast. 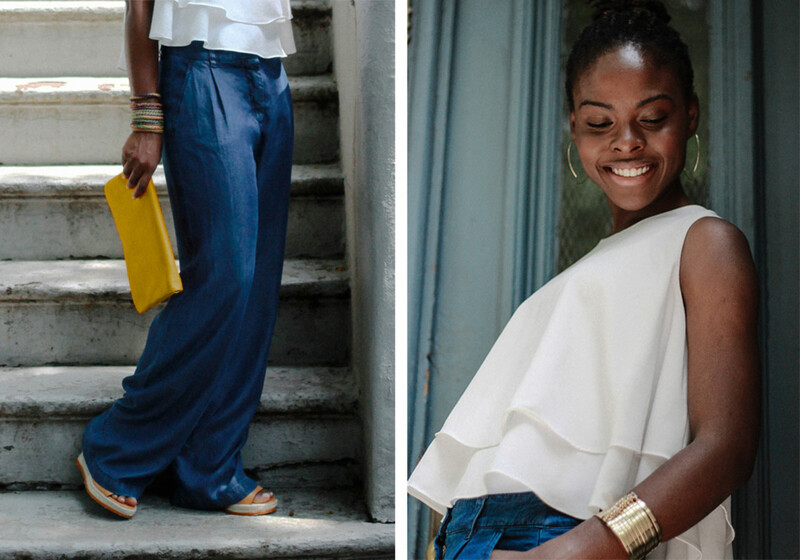 Keep summer vibes in mind, and accessorize with chunky platform heels and a bright clutch. 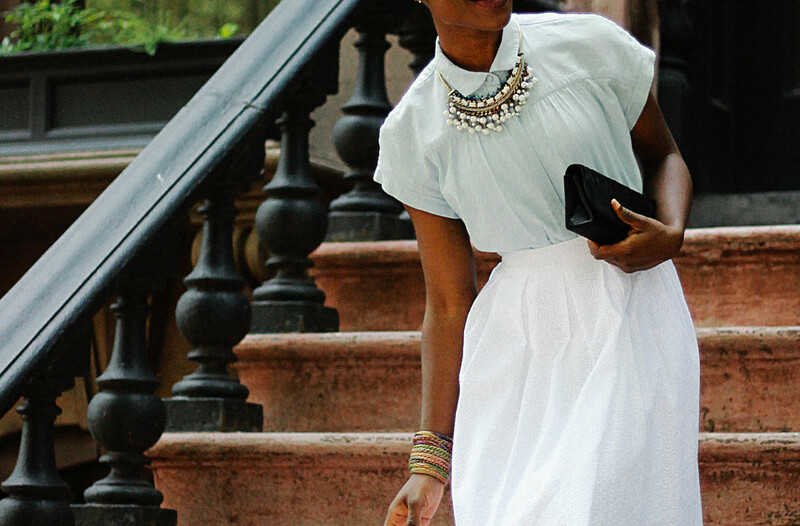 Über-feminine midi skirts can be worn with almost anything, even denim. 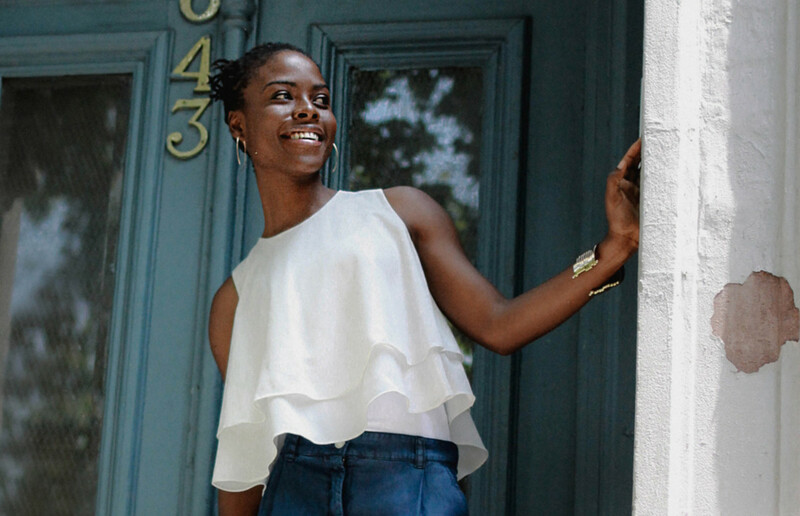 Pair a chambray button-up with your favorite midi—we used a short-sleeved version to create an overall light and breezy outfit for summer. 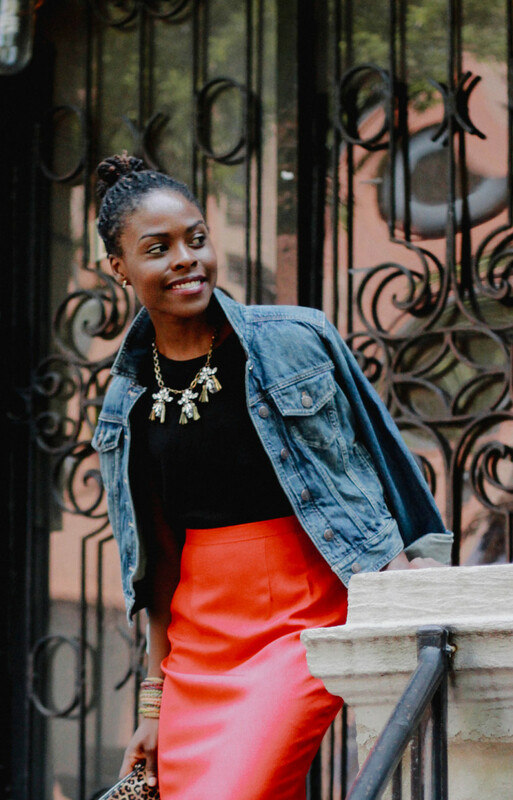 Tuck your chambray in to highlight your waistline and to emphasize the ballerina inspiration. To dress up your top even more, throw on a bejeweled statement necklace and a pair of point-toe stilettos. Put a spin on your everyday denim jacket by donning it as a cape. Tossing it over your shoulders is an effortlessly cool throwback to 1940s starlets and instantly dresses up your look. Then, keep that decade in mind by wearing a bold pencil skirt and classic black heels. 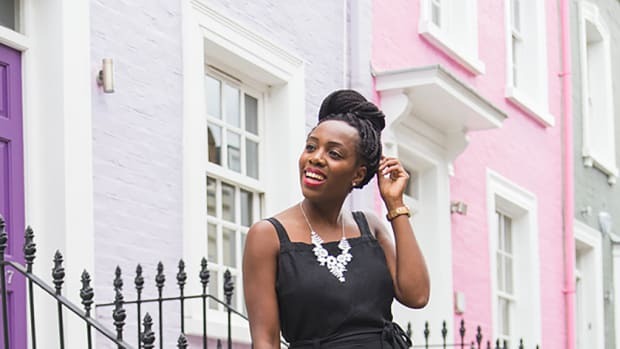 Accessories are key to making this look feel really glamorous, so don’t be afraid of rocking a sparkly statement necklace and a printed clutch. 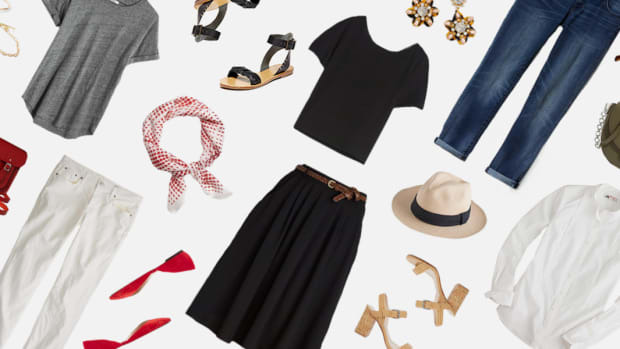 This modern wardrobe staple is the height of elegance and versatility.